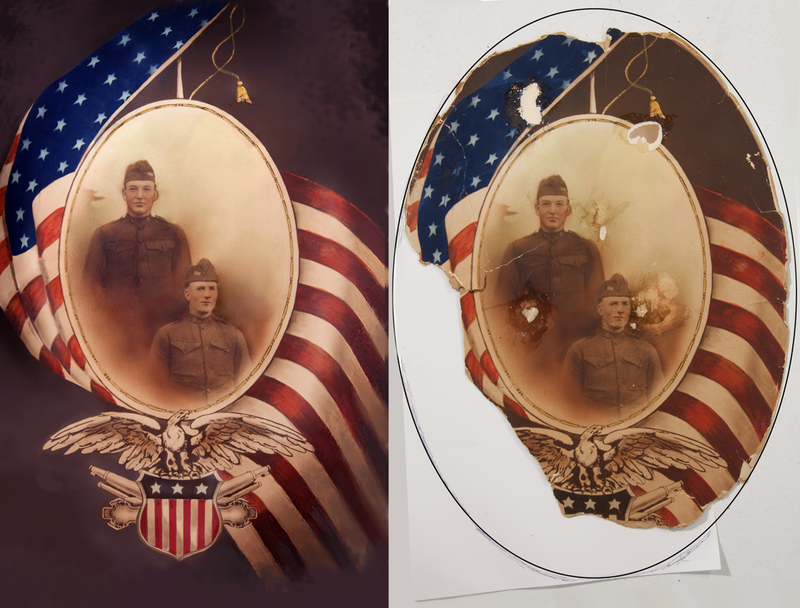 This had a little bit of a challenge, has anyone seen a military photo like this and would know what the bottom design actually looked like? This entry was posted in Military and tagged 84062, artwork, Hancock, military, photo, photograph, photography, Pleasant Grove, restoration, Scott, Utah. Bookmark the permalink.